Construction Taxation | Jim Meinel, CPA.P.C. Choice of entity: Should you set-up your construction company as a corporation, a partnership, a limited liability company, or a sole proprietorship? Should the corporation be taxed as a “C” corporation or an “S” corporation? Should the partnership be taxed as an “S” corporation or a domestic partnership? These choices can mean thousands of dollars in difference in taxes each year in addition to other significant tax consequences. Accounting method: Contractors with average annual gross receipts of under $25,000,000 for the prior three years have a selection of different accounting methods they can elect which can defer significant income taxes to future years. Depreciation: Did you know that contractors have their own asset classification for equipment which allows them to depreciate their equipment faster than other industries? 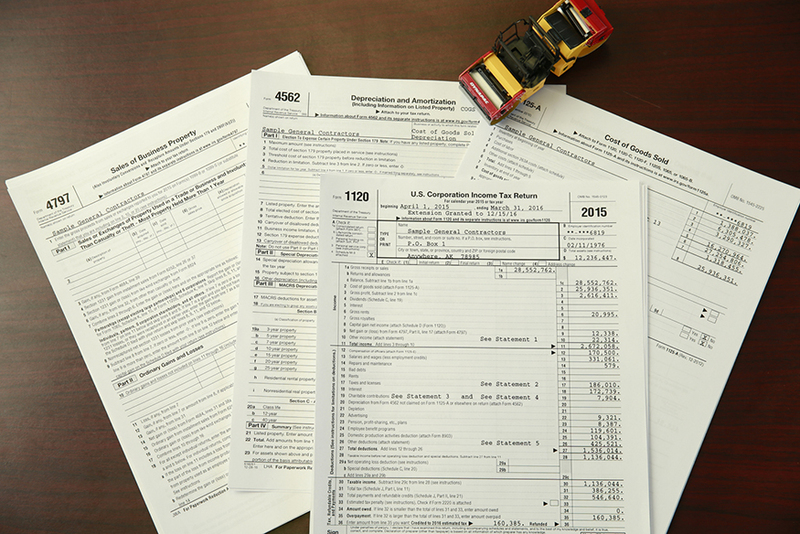 IRS audits: Has your tax preparer successfully represented clients in the construction industry in an IRS audit? Revenue agents are specially trained to audit the construction industry and your tax preparer should be also. Reactive or proactive: Does your current tax preparer meet with you a month or two prior to your tax year-end to map out your year-end tax planning? Every day I work with contractors to make the right decisions on critical tax issues facing today’s construction owner. Call me today at (907) 258-2727 to discuss your current tax questions.